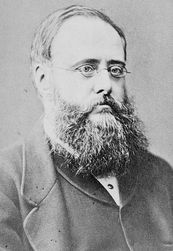 Wilkie Collins' 1859 novel, The Woman in White, wildly popular when serialized in a journal, sold out the day it appeared in a bound edition. Like blockbuster movies today, the book spawned a line of products. Stores sold Woman in White cloaks, hats, and perfumes. Woman in White waltzes and quadrilles became popular dances. 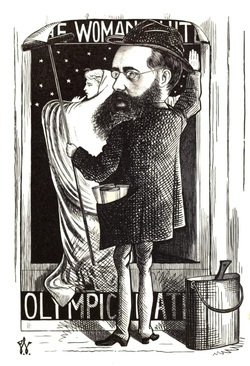 Though derided by some contemporary critics as sensationalist trash, the novel has remained popular for 150 years with adaptations for the stage, film, and television. It even inspired an Andrew Lloyd Webber musical (not very popular). Collins based the villainy in The Woman in White on an actual crime that occurred in France. He modified the story and added the trappings of the Gothic novel popular earlier in the 19th century: a claustrophobic setting, a spectral figure warning of danger, a beautiful woman victimized by powerful men, and the stalwart heroes who devote themselves to rescuing her. As the plot unfolds, social problems come under scrutiny, including the treatment of the mentally ill and the laws denying women rights. Following the example of his friend and mentor, Charles Dickens, Collins not only explored social issues, but filled his novel with quirky, memorable characters. The plucky Marian, who risks her life to save her half-sister, serves as a model for the brainy, courageous heroines of romantic suspense, though later writers wisely dropped Marian’s distinguishing feature, a faint mustache. The Woman in White has never been out of print though Collins is better known for The Moonstone (1868), often cited as the first full-length detective novel in English.